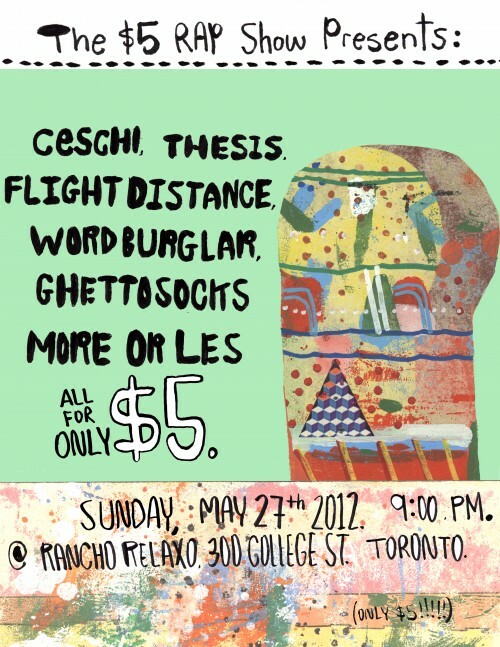 How f’ing awesome is it that we got Ceschi coming through for $5 Rap Show? And for only 5 bucks still. PLEASE NOTE the unusual date as $5 Rap Show does a special Sunday edition.